When a loved one passes away, the days, weeks, and even months that follow are filled with grief and other strong emotions. If you recently experienced the death of a loved one, the practical and legal ramifications of your loved one’s death are probably not at the forefront of your mind. If you were named as the Executor of the estate in the decedent’s Last Will and Testament, however, your loved one is counting on you to be able to put aside your grief to the extent necessary to handle administering his/her estate. The same applies if your loved one died without a Will and you are the obvious choice to volunteer to be the Personal Representative (PR) of the estate. As either the Executor or PR, you should consider retaining the services of an experienced New York estate planning attorney to assist you throughout the probate of the estate. To get you started, however, the estate planning attorneys at Law Offices of Kobrick & Moccia have compiled some commonly used probate resources for the Westchester, New York area. Probate is the legal process that is typically required after someone dies. Probate serves several important functions, including providing a legal framework within which the decedent’s assets are transferred to the new owners as well as ensuring that all creditors of the estate, including tax authorities, are paid. The individual who oversees the probate of an estate is referred to as the Executor and is appointed by the decedent if a Last Will and Testament was executed prior to death. If the decedent died intestate, or without a Will, any competent adult may volunteer to be the “Personal Representative(PR) and oversee the probate of the estate. Because the duties and responsibilities are almost the same whether the individual was appointed or volunteered, the generic term “Personal Representative (PR)” is frequently used to refer to either an Executor appointed in a Will or a PR who has volunteered for the position. For more general information on the probate process, the American Bar Association has a section entitled “The Probate Process” on its website that you may wish to read. In addition, you may wish to look at the “Probate” page on the New York State Unified Court System’s website for specific information about the probate process in New York. You should also read through the court’s “Small Estate” section to see if the estate might qualify for an alternative to formal probate. The probate of an estate is usually initiated in the county in which the decedent was a resident at the time of death. For example, if the decedent was a resident of Harrison, New York probate of the estate will probably take place in Westchester County Surrogate’s Court. Because probate often involved complex legal issues, most Personal Representatives (PRs) retain the services of an experienced estate planning attorney to assist during the probate process, particularly if determined that the estate does not qualify for small estate administration. If, however, you decide to proceed pro se, or without the assistance of an attorney, you will be expected to understand the applicable laws as well as the court rules and established procedures. For more information, navigate to the “Court System Basics” and “Court Case Basics” sections of the New York Court System’s website. You may also find the “Getting Help at the Courthouse” section of the website to be a good resource. Keep in mind though that court staff cannot give legal advice because they are not licensed attorneys. The probate process can be time consuming and confusing for a first-time PR, particularly if you are also trying to manage your own grief. Consider retaining the services of an experienced estate planning attorney to assist you. An experienced attorney can guide you through the probate process, allowing you to focus on your loss. In addition, having an attorney on your side also dramatically decreases the possibility of making a costly mistake. A good place to start is with the American Academy of Estate Planning Attorneys website. The AAEPA is a national organization of attorneys who have chosen to focus their practice on legal issues related to wills, trusts, and estates. Membership in the AAEPA signifies that an attorney has proven experience in the areas of estate planning and/or elder law. The New York State Bar Association’s Lawyer Referral service and the Westchester County Bar Association Lawyer Referral Service are additional resources that can help you find the right attorney. The overall job of the Personal Representative is to oversee the probate and the estate of the decedent. To initiate that process you will need to file the appropriate petition with the Westchester County Surrogate’s Court. Along with the Petition to Probate, you will also need to submit the original copy of the decedent’s Last Will and Testament along with a certified copy of the death certificate. You will find step-by-step instructions for how to obtain a certified copy of the death certificate on the New York Court’s website. Furthermore, you will likely need to conduct a thorough search to make sure you have identified all real property owned by the decedent. One place to check to ensure you have identified all real property is the Harrison Assessor’s Office online records search website. Does the Estate Owe Gift and Estate Taxes? Because every estate is potentially subject to federal gift and estate taxes, you will need to be familiar with how to calculate the tax and how to prepare the tax return. The Internal Revenue Service (IRS) website offers a general overview of the federal estate tax. They also have a “Frequently Asked Questions about Estate Tax” section that may be helpful. If it turns out that the estate does owe federal gift and estate taxes, any tax obligation due must be paid before any assets are transferred out of the estate. The State of New York is also one of a handful of states that impose a state level gift and estate tax. Information on New York’s estate tax obligation can be found on New York State Department of Taxation and Finance website. 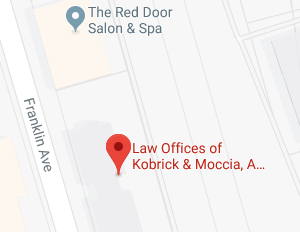 If you have specific questions or concerns about the probate of an estate in Westchester, New York, contact an experienced estate planning attorney at the Law Offices of Kobrick & Moccia by calling 800-295-1917 to schedule your appointment.